The Regina Farmers Market is held during favourable weather from May to October in City Square Plaza in the center of downtown Regina. Located next to Victoria Park the market is a great place to grab some home baking a coffee and enjoy in the park. 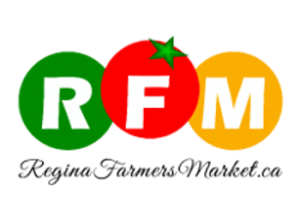 The Regina Farmers market features a variety of baked goods, Locally grown produce and crafts from throughout Saskatchewan Being continuously run since 1975 the Market has received numerous awards including being in the top 10 markets in Canada. May to Oct, Wed and Sat 9 am - 1 pm, on City Square Plaza. From Oct to Dec and Mar to Apr, Sat 9 am - 1 pm at 2065 Hamilton St.
Home to the Regina Farmers Market in Unseasonal Seasons.